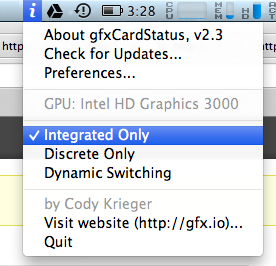 With OS X 10.8 gfxCardStatus is no longer capable of enforcing Integrated Graphics card only. 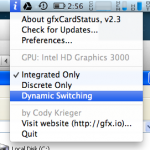 When one uses VMWare Fusion, the discrete graphics card is enforced, which drains the battery too fast. I have not found any solution online to fix this. 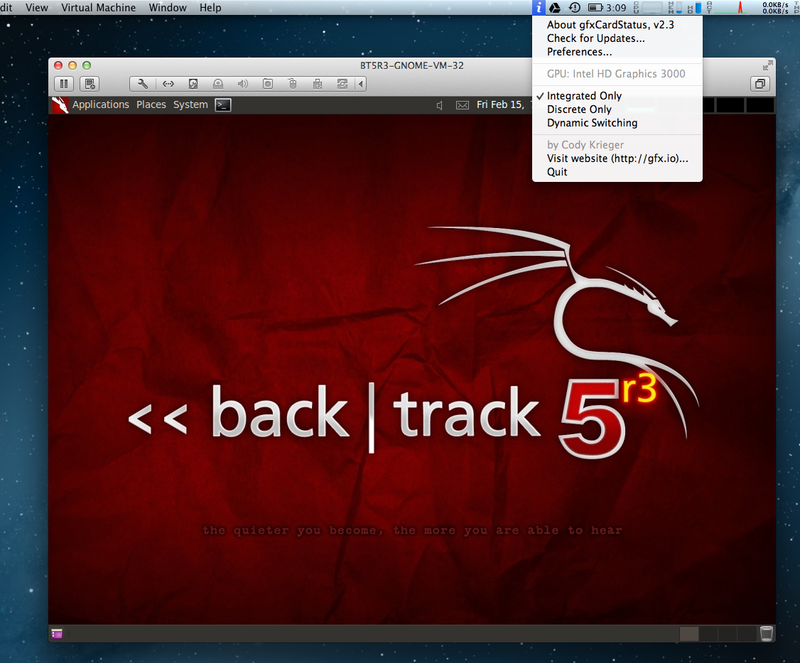 But I managed (thanks to PePe) to discover one. 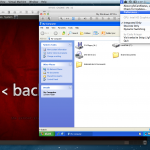 Then launch VMWare Fusion, start whatever virtual machine. And don't do anything inside. Leave it idle. 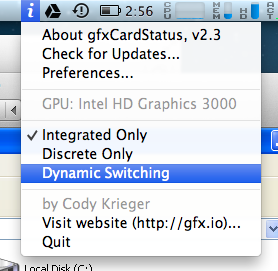 Cody Krieger (the creator of gfxGraphicsStatus) says that even if it says that the Integrated is being used, the Discrete (NVidia) is still being powered on, which invalidates the whole exercise. So instead of having 3:27 hours left, I now have 1:22 hours left. 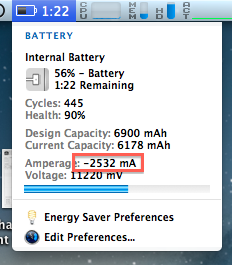 My consumption 2.5 Amp, instead of 1.1 Amp. This is something that I discovered today. So it may not be working as expected, but for now it seems it is. 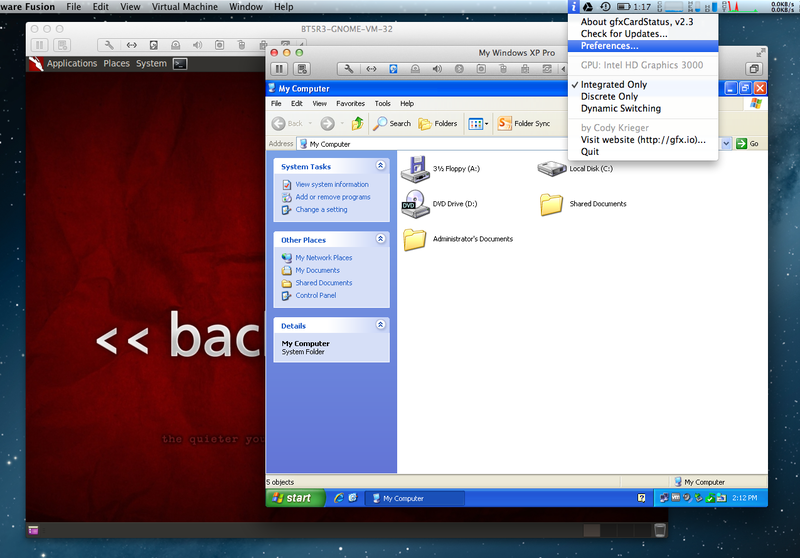 VMware Fusion 5.0.1 with 2 VMs - Windows XP Pro and Backtrack 5 R3 (both were idle during this setup). Thanks man, was looking for this exact thing.. 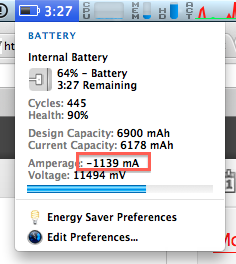 Going on the road and can't have Fusion eating my battery like that!